A stay at any luxury resort should place an emphasis on comfortable accommodations, top-notch facilities, and world-class dining. 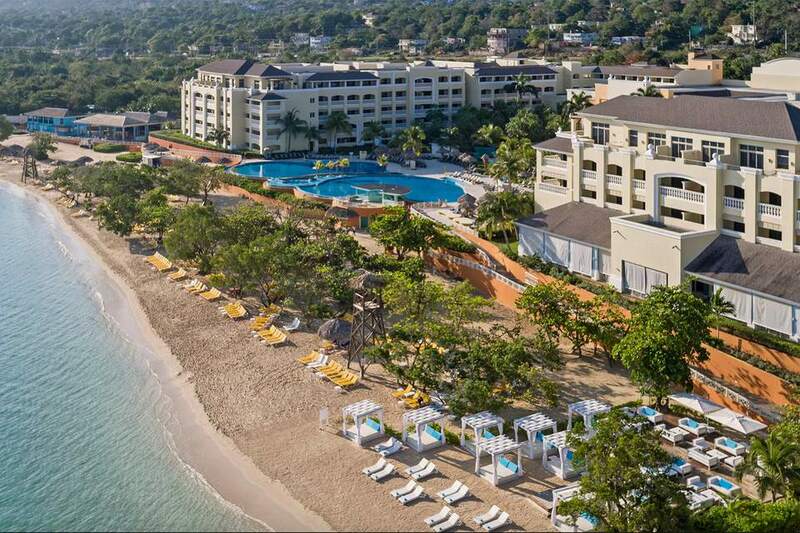 The luxe Iberostar Grand Resort in Rose Hall, Jamaica, has set the bar high for gastronomic delights and will satisfy even the most demanding palates, all-inclusive or no. Dining is a major part of any vacation, and a good portion of a typical travel budget will go towards food and drink. Fierce competition for shrinking travel dollars has compelled all-inclusive hotels to move beyond the standard buffet. In the age of 24-hour food channels, typical meat-and-vegetable dinners have become hopelessly pedestrian, and sophisticated diners demand a wider range of flavors and sensations. The Iberostar Rose Hall has stepped up to the challenge with its lineup of four fantastic a la carte restaurants; Japanese, gourmet, Italian, and a classic American steakhouse. All four restaurants are geared toward an intimate evening for couples and small groups. Pleasant lighting, comfortable chairs, and fine linens and flatware, along with soft music and experienced attentive staff, enhance the experience. Most dinners feature three to five courses and an extensive list of wines from Spain, France, South Africa, Australia, and California. The Argentinian cabernets and Tempranillos from Spain are highly recommended. A sampling of the courses at La Toscana, the resort’s Italian restaurant, includes a Caprese salad, classic minestrone soup, grilled swordfish Dame with pignoles and sweet basil, and macerated pears in grappa and dressed with chocolate fondant. You’ll also find shrimp risotto and saffron lobster, roulade of veal filet with spinach served in a cauliflower cream sauce, and veal tortellini. The presentation is incredible—you will almost hate to eat it and mess it up! At Galleon, the American steakhouse, fresh cuts of meat are displayed at the entry. Of course, there are options of grilled New York strip, ribeye, and filet mignon, but you’ll also find grilled farm chicken served with a with lobster tail and chimichurri sauce, and lamb ribs macerated with honey and grilled over rosemary. A common culinary theme running through the menus here is “fusion,” and good examples can be found at Es Palau, a gourmet restaurant utilizing elements of French, American, South American and Caribbean cooking: glazed Normandie-style halibut steak, mullet medallions in lasagna zucchini and shrimp, and scalloped salmon over a stew of fluted mussels. For those who want a more low-key experience, the casual international buffet has made-to-order dishes that integrate local Jamaican flavors and ingredients. Couples can partake in a four-course romantic dinner on the beach. Helming the operation at the Iberostar is Executive Chef Mario Gonzalez from Spain who trained at the prestigious IES San Fernando, several of the Michelin starred restaurants of Extremadura and Madrid​ and L’Atelier de Joel Robuchon in London. Celebrity spokesman Antonio Banderas also showcases his Anta Banderas collection of award-winning wines on the wine lists of Iberostar restaurants worldwide. Iberostar’s motto is “enjoy being a star,” and you will certainly feel like one after you leave the dinner table at one of their very fine restaurants.